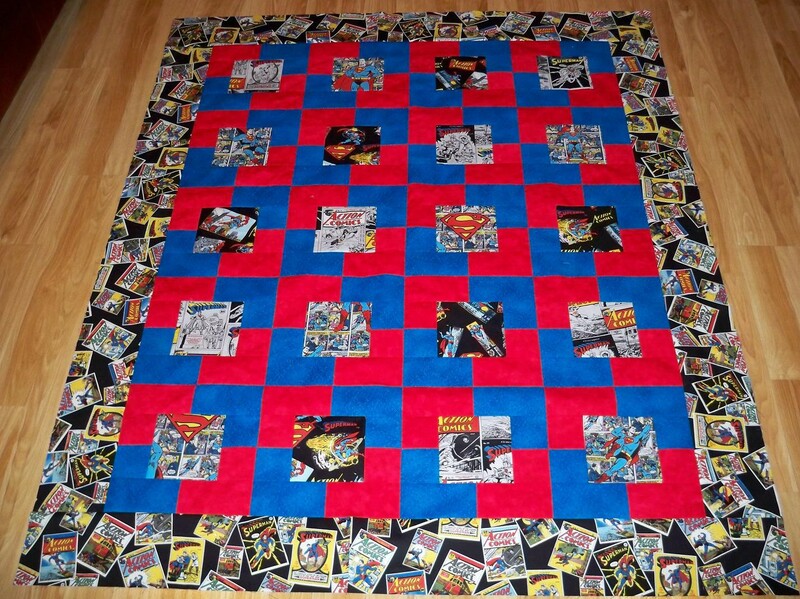 Today I want to showcase some of my superhero quilts. I had purchased the book Singular Sensations which uses a single block but depending on your colors/placement, all kinds of cool patterns emerge. 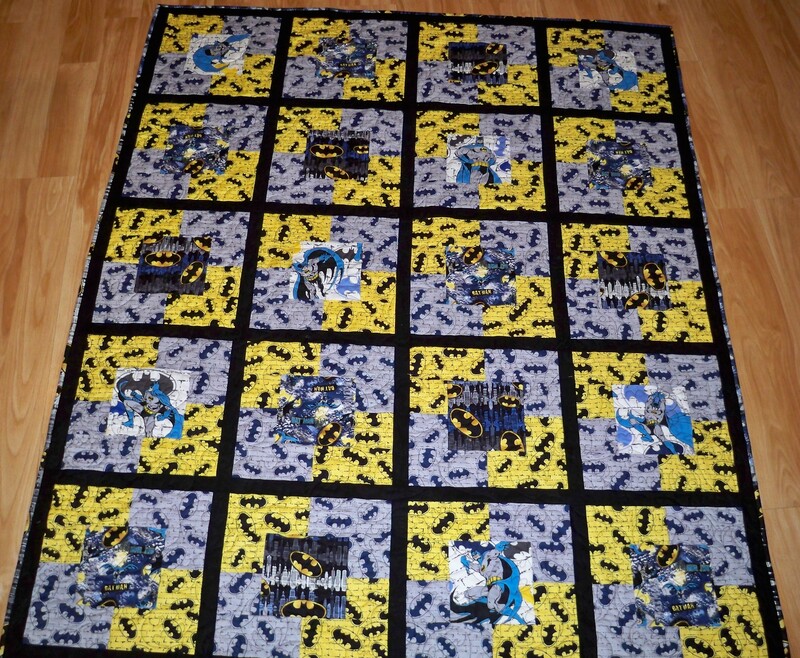 I used that block to make these Batman and Superman quilts which were Christmas gifts for 2 of my friends. When I was showing Batman at a Show and Tell at my quilt show, one of the ladies says “that little boy is going to love it” and I was like “yeeeahhh, he’s 25”. 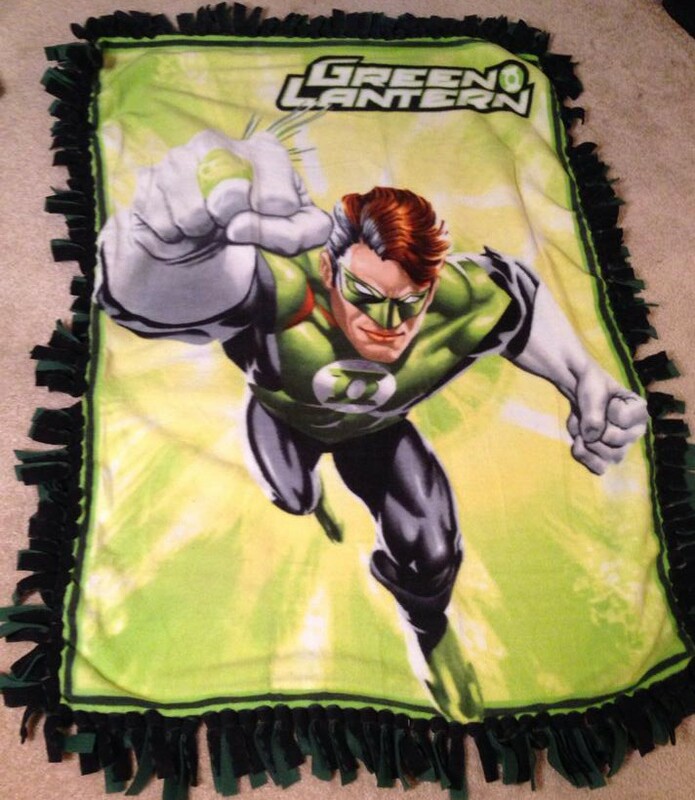 More recently, I purchased 2 fleece blanket kits. 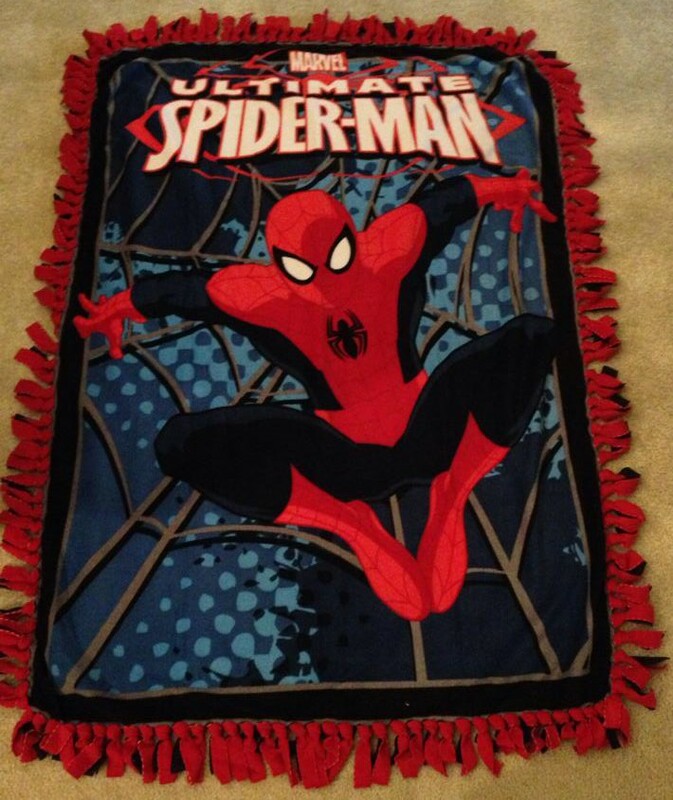 Spiderman went to my cousin, as a gift from my mom. Green Lantern is currently listed in my etsy shop.